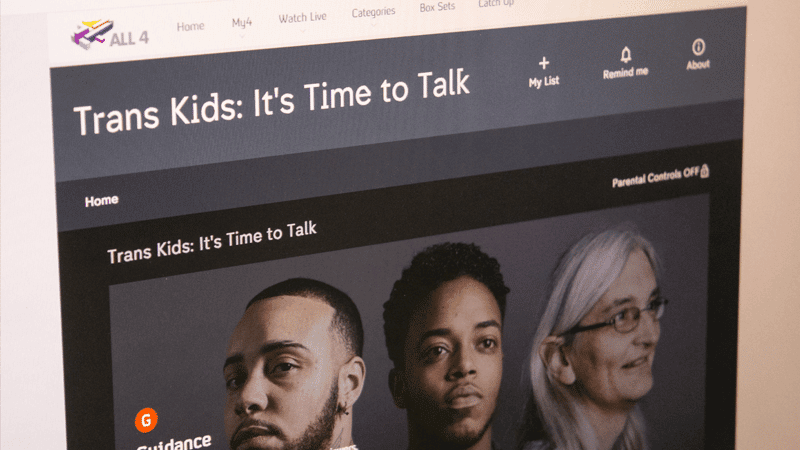 A new documentary by Channel 4 has challenged the new orthodoxy of affirming the confusion of children who believe they are transgender. Psychotherapist Stella O’Malley explained how as a child she was adamant she was a boy, but she realised she must be a girl when she went through puberty, and is now a wife and mother of two. She undertook the documentary because of her fear that affirmation is not the right route, saying: “If I had been a child today, I’m absolutely certain that I would have transitioned”. In Trans Kids: It’s Time to Talk, O’Malley first visited ‘Matt’, an 13-year-old girl from South Wales whose parents are struggling to deal with their daughter’s desire to transition. Her mother said: “We’re not encouraging it, we’re trying our best to understand it, we’re asking questions because we’re frightened. “Are we damaging our child? We love our children very much. Are we doing the right thing? Other visits included Debbie Hayton, a man who transitioned in his forties, placing huge strain on his wife and children. And ‘Kenny’, who began to transition eight years ago, whose doctors never told her that she might ultimately require a hysterectomy. Stella reflected that the girl went willingly into the process, but “didn’t seem to have any idea what was coming next”. The presenter visited researcher and psychotherapist James Caspian, who specialises in working with transgender people. In 2017 he was prevented from carrying out research into trans regret by Bath Spa University. She also attended a women’s rights meeting which was protested by violent trans activists. But her final stop was with 25-year-old Cale. Cale decided to transition as a 15-year-old because she felt she did not fit in and wanted to become someone else. She ignored her doctor’s diagnosis of personality disorder and instead insisted she was transgender. She took testosterone for years and had a double mastectomy, but in the end realised it could not solve her problem. She ‘detransitioned’ and is once again living as a woman.